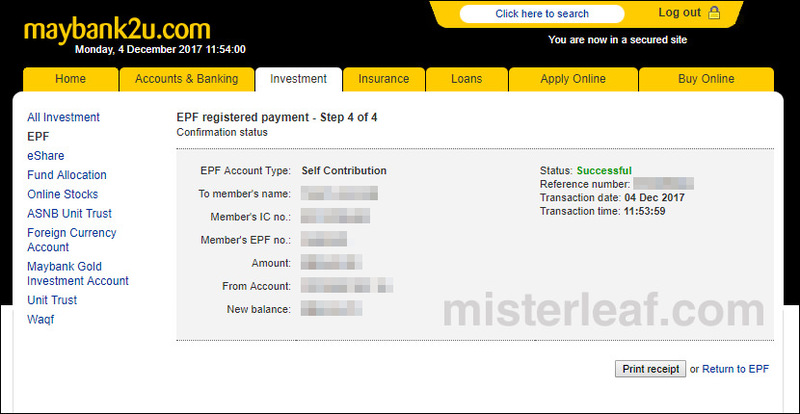 We can pay EPF or KWSP ourselves (self contribution) online using Maybank2U. A person or a owners who do not get salary (own business) is encouraged to participate the “EPF Self Contribution”. However, the minimum contribution payment amount is RM50 for every transaction and maximum of RM 60,000 yearly. There are many advantages of “EPF Self Contribution”. The dividend rate of the EPF is always higher than Fixed Deposit Rate provided by bank. Besides, we can get tax relief up to RM 6000 under “Life insurance and EPF” types. 2. The system will show the account which already registered by ourselves previously. Click “EPF Registered Payment”. Click “Add” to add new EPF account if we haven’t register our account. 3. Select the “Self Contribution”. 4. Key in the amount. 5. Click confirm and success. I just want to confirm, for personal contribution EPF account will be same as the existing EPF account that we are holding (with employer)? As some one told me, we need to apply another account for self-contribution from EPF before we can invest online? If my salary is 70k per year…. can i contribute 60k to EPF?… i wish to put my saving money into EPF. I think should be no problem. Can pay self contributions through Cimb Click ?? Can you show me step by step pls…. 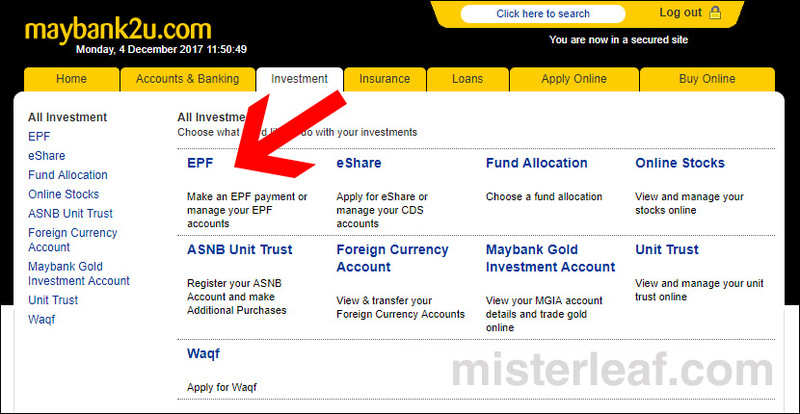 The transaction can show immediately at our EPF online account? How to trace? No immediately. Take a few working days to update in the system. You can check online. Do you key in your EPF number correctly? And check again your bank account number.